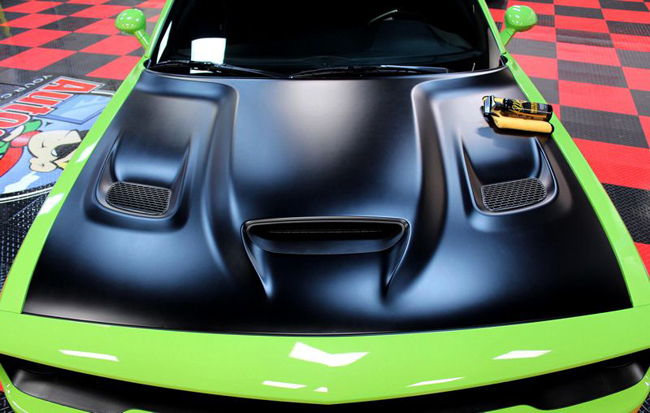 Matte finishes, vinyl decals, and paint protection films require special care. First and foremost, stay away from abrasive polishes!Second, never use any waxy substance to try and protect it because this will actually clog the pores and create a blotchy finish. 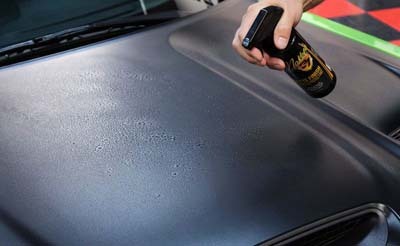 Third, do not use any type of detail spray with gloss enhancers! 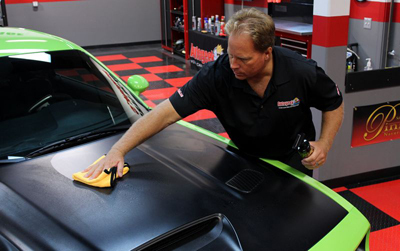 Last, but certainly not least, do not use any products that are not approved for the special needs of your vehicle’s matte finish!McKee’s 37 Matte Finish Cleaner & Protectant is specially formulated to clean and protect the matte finish on your vehicle. 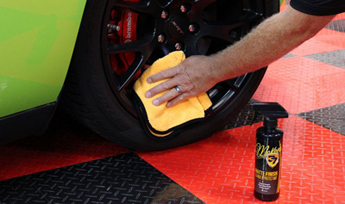 Step 1: Mist some of McKee’s 37 Matte Finish Cleaner & Protectant onto the matte finish surfaces on your vehicle. 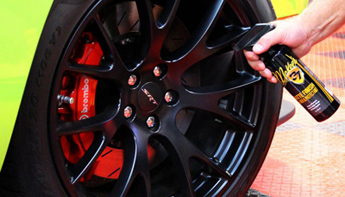 Clean and protect your vehicle’s expensive matte finish in one step!